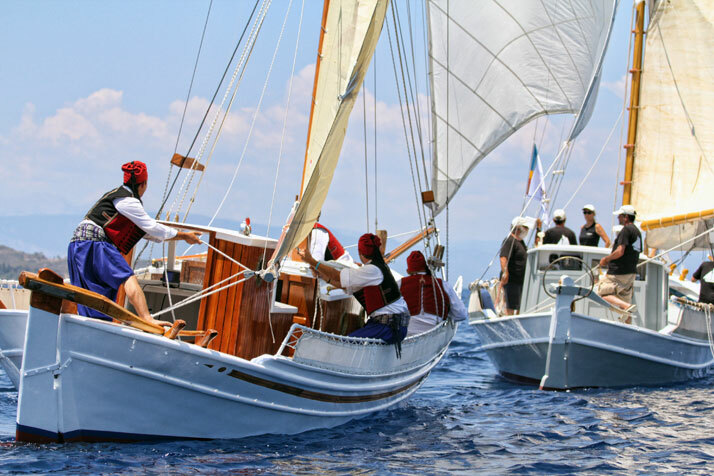 Mid June saw Greece’s sailing aficionados come together for the ‘Spetses Classic Yacht Race 2013’ for the third consecutive year on the island of Spetses, off the Peloponnesian coast. 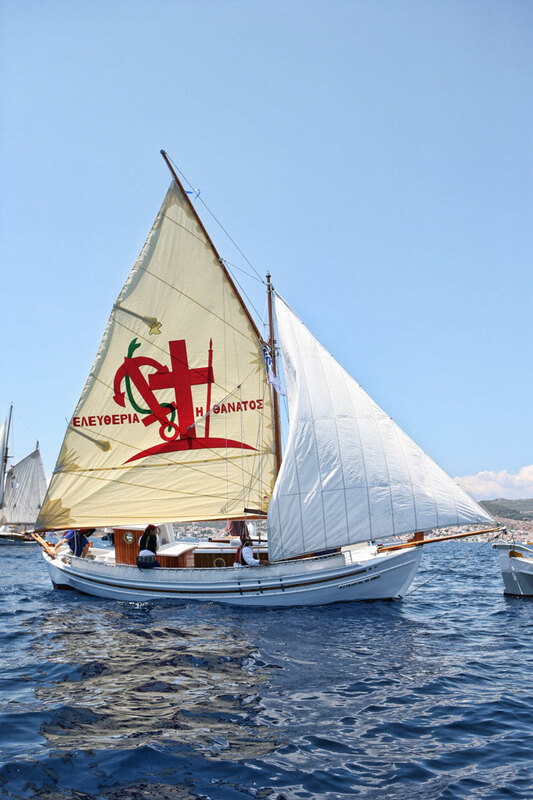 Organised by the Yacht Club of Greece, the event successfully came to a close on the 16th of June after three not-so-windy but mind-blowing days. 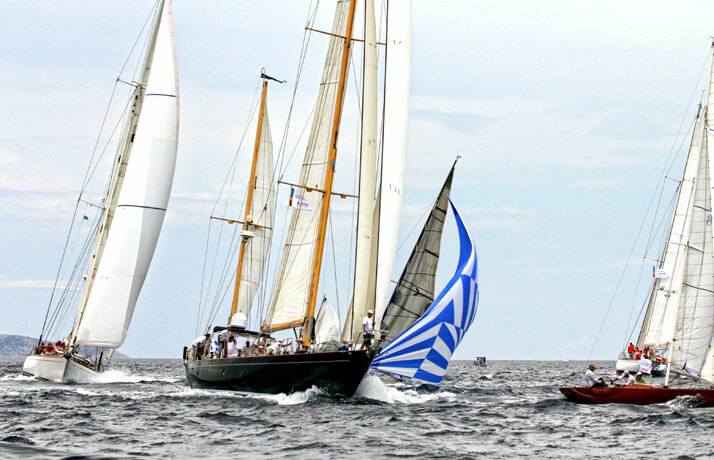 Yatzer attended the event to witness 65 participants from all over the country competing in the following categories: a) Classic Yachts – divided into Vintage (prior to 1939), Classic (post – 1939) and Spirit of Tradition (yachts - built according to the classical yacht standards), b) Aegean Classic Schooners (locally known as caiques) which raced for the first time in 2011 alongside the Classic Yachts, and c) Lateens. 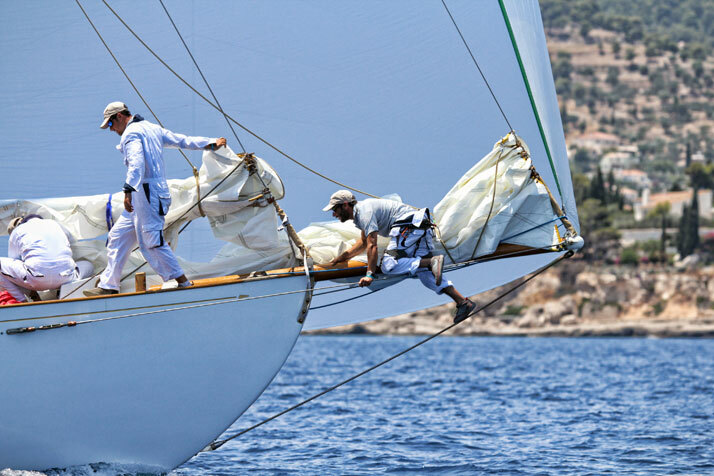 photo © Spetses Classic Yacht Race, 2013. 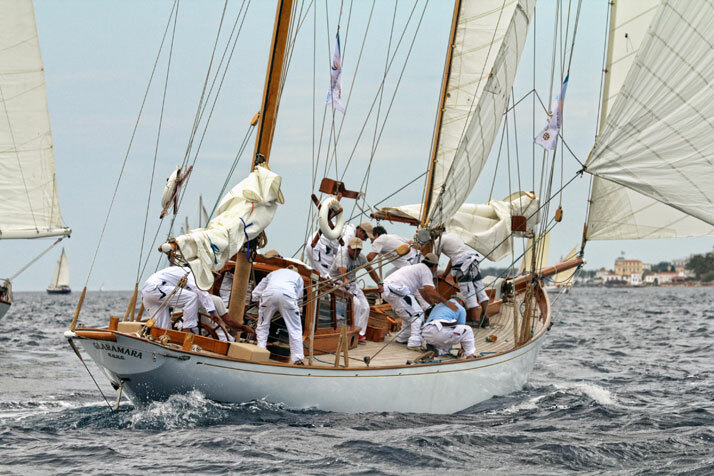 Although I wasn't exactly an official member of any of the yachts’ crews, I got a bird’s eye view of the ensuing ‘''battle on the sea'' from a small speedboat. 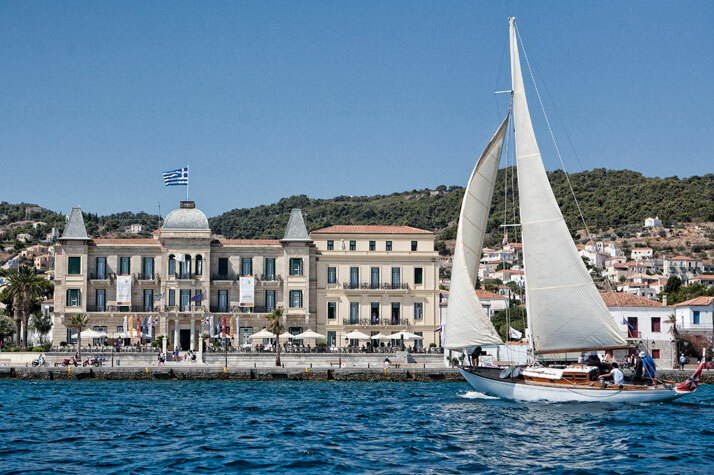 The sight of the most renowned classic yachts in Greece set against the beautifully preserved, historic and picturesque Spetses Town with the renowned Poseidonion Grand Hotel as the centre piece created my visual cart-postal. 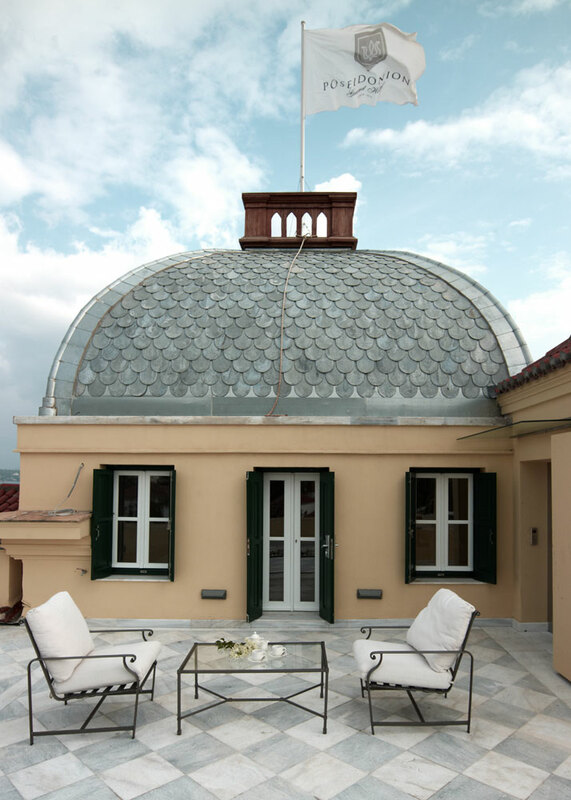 The neoclassical mansion which first opened in 1914 by Sotirios Anargiros, the visionary benefactor who was responsible for much of Spetses’ development closed its doors for a five-year restoration in 2004. 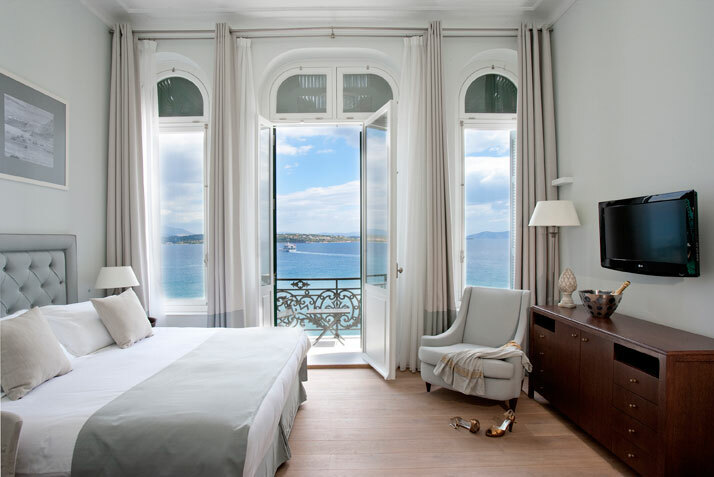 Its transformation, completed in 2009, has created not only a five star hotel guaranteeing luxury and relaxation for international jet-setters all year long but a hub of cultural, political and social activities. 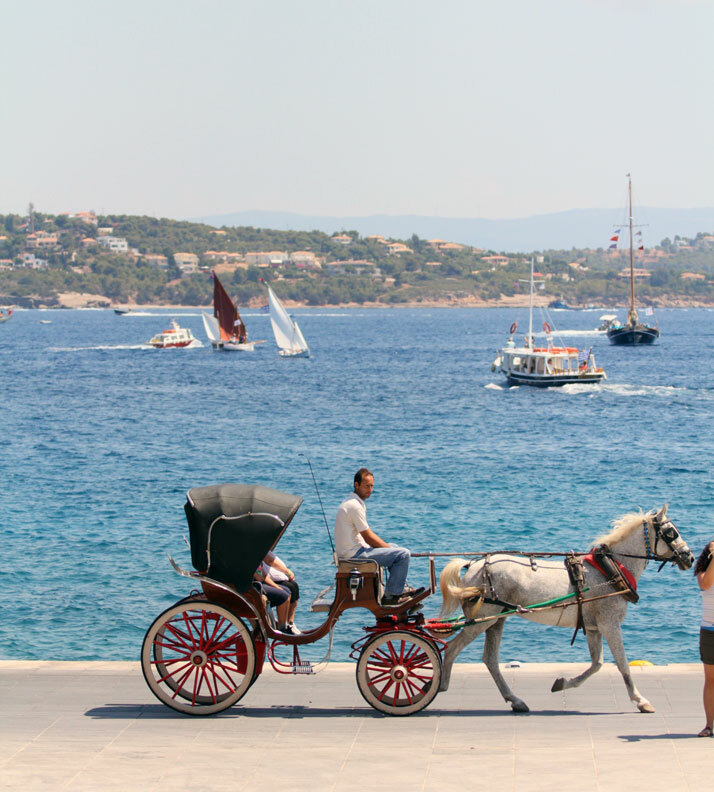 photo © Poseidonion Grand Hotel, Spetses, Greece. Speaking of painstaking restorations, four Greek young entrepreneurs Stratis Andreadis, Panos Varouhas, Spyros Daikos and Chrysa Halikiopoulou have come up with the perfect upcycling idea. 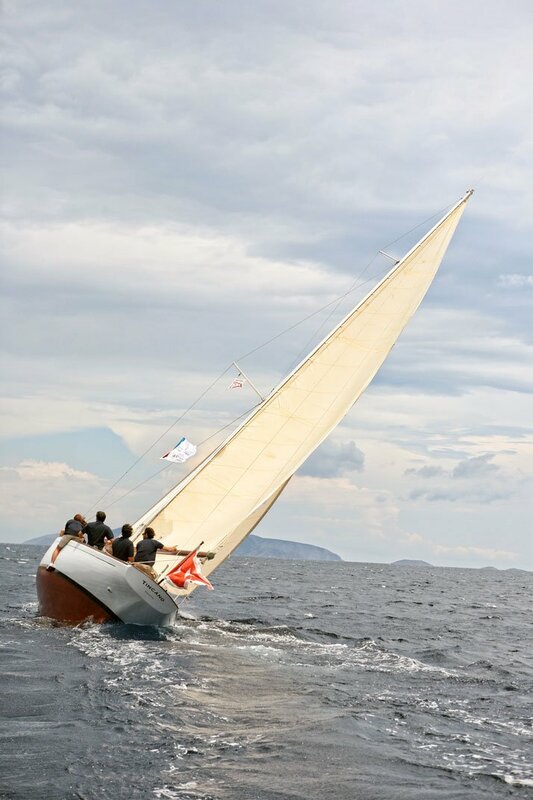 In answering the simple question ''What happens to yacht’s sails that can no longer be used after the ravages of time and the sea?'' 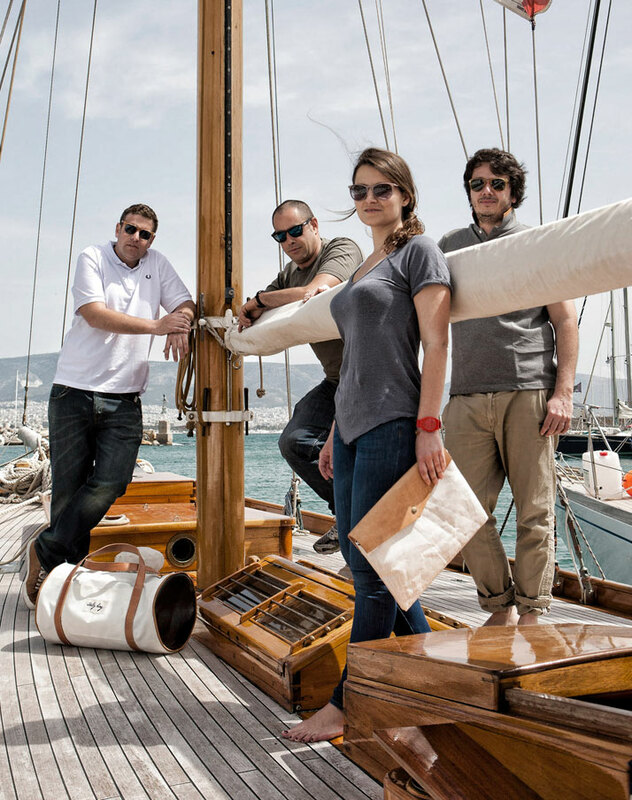 they went on to create a line of handbags made of decommissioned sails. 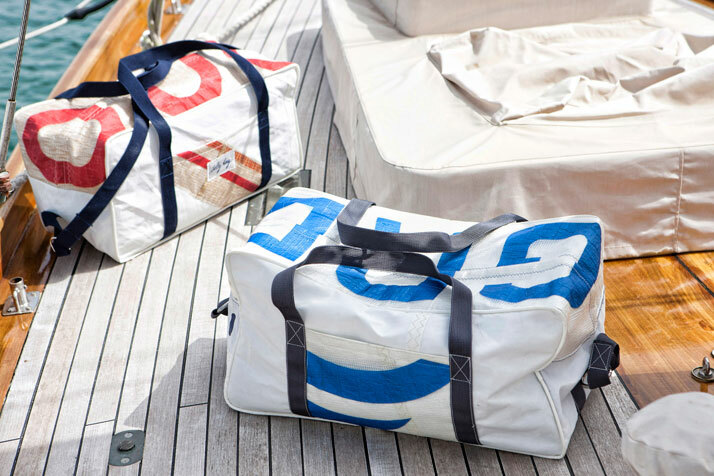 The brand’s name Salty Bag was conceived from the objective of giving the sails a second life beyond that of the salty sea. 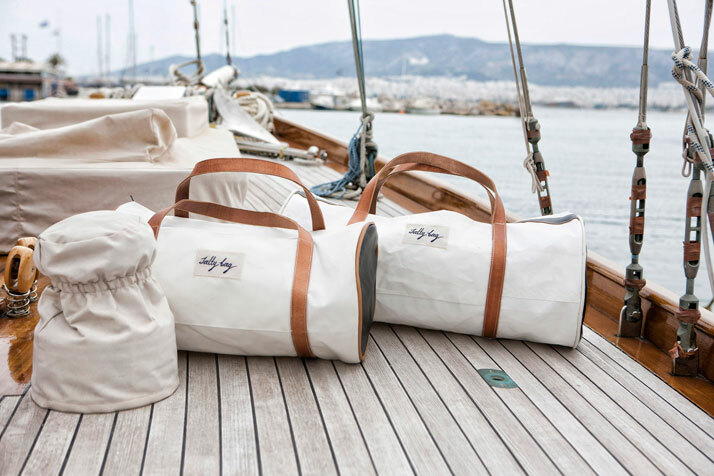 In their new, reincarnated form, the bags begin counting new nautical miles - or just miles - from the Greek island of Corfu where they are created. So after their heroic lives sailing the stormy seas, and witnessing some of the most magical sunsets in the world, they’re now ready to travel with their new owners, some of whom may not have sailed the seas but wouldn't say no to a hard wearing, waterproof companion on their travel adventures. 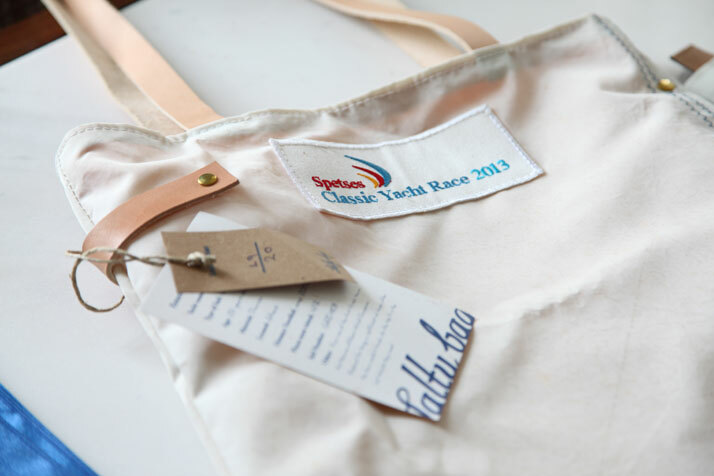 Each bag is accompanied by the story of the sailboat from where the sail hails and a percentage of the proceeds from their sale will go towards supporting the Greek Sailing Team for the Rio 2016 Olympics. 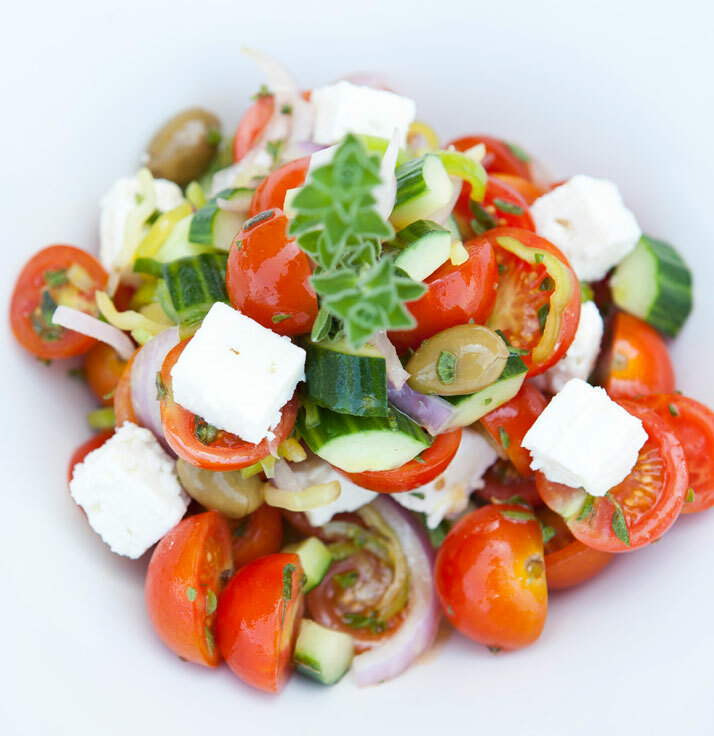 This weekend in Spetses definitely increased my appetite (not that I’m blaming the Poseidonion's chef Christoforos Peskias and his incredible Greek Salad!). 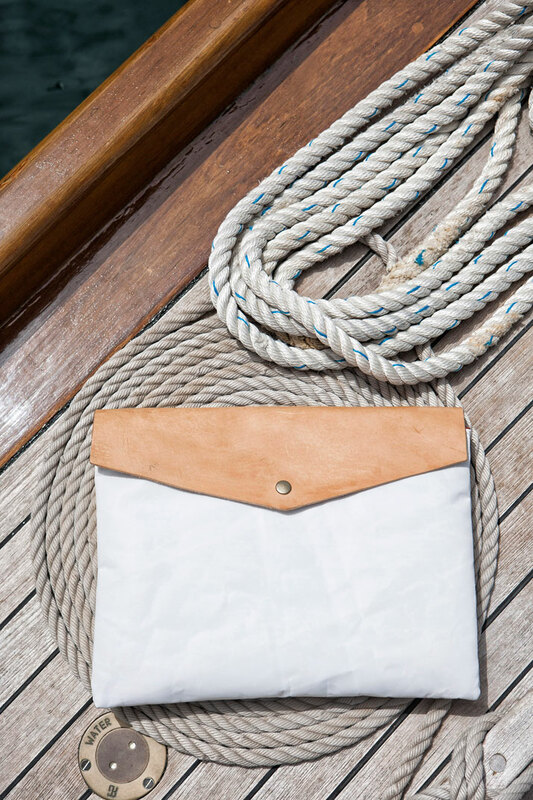 So if you haven't planned your holidays yet, start packing a Salty Bag with all your summer essentials and jump on a sailboat. 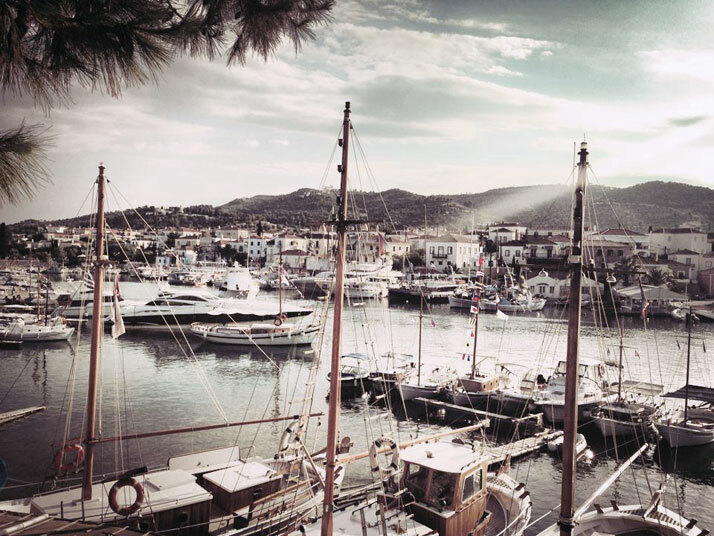 The Spetses Classic Yacht Race may have come to an end for this year but summer in Greece has just begun! Panos Varouhas, Stratis Andreadis, Chrysa Halikiopoulou and Spyros Daikos. Photo © Salty Bag. 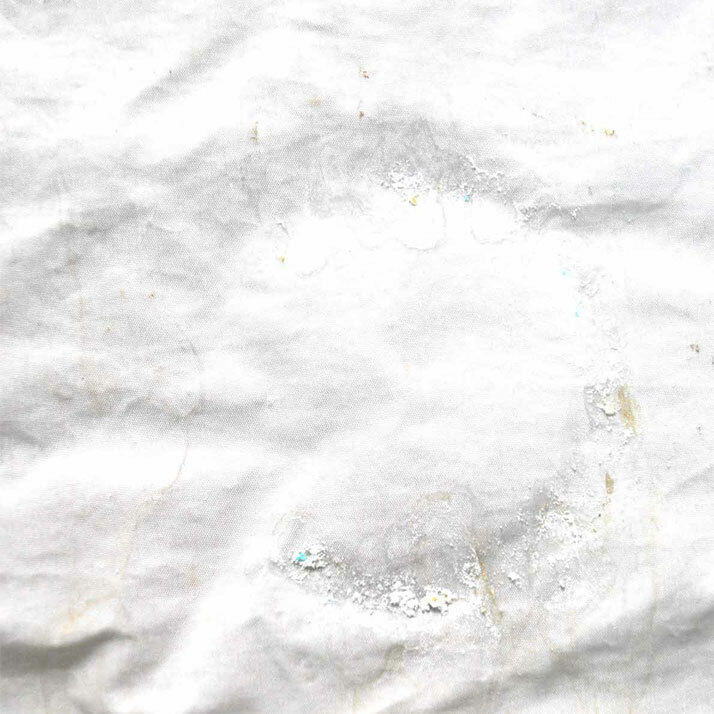 Decommissioned sail. Photo © Salty Bag. 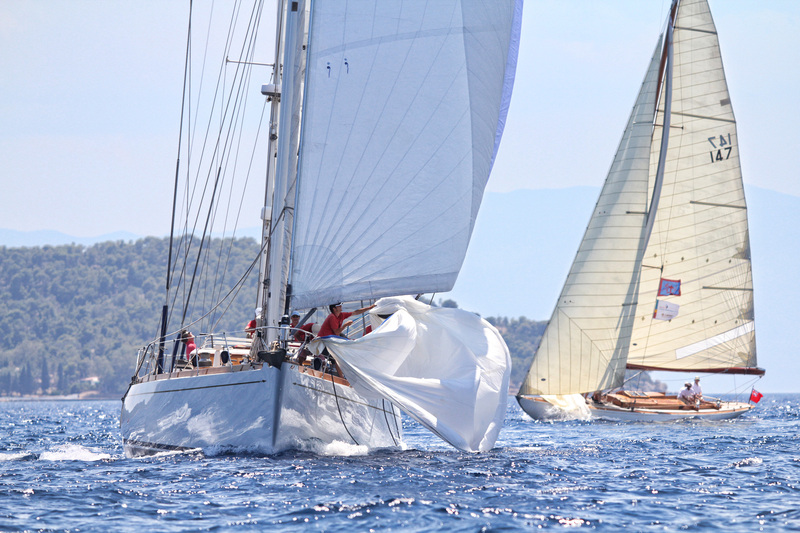 photo © Salty Bag & Spetses Classic Yacht Race, 2013.